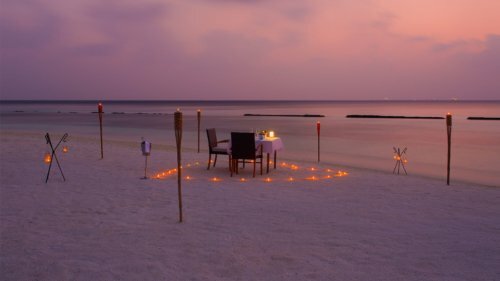 For the best Maldives’ afternoon delights, cocktails and moonlit nights, time spent at Komandoo’s bars is a must. One of the barmen who can take a lot of credit for Komandoo’s bars being pleasant, adults-only relaxation and socialising venues is Vinod Antony, a beloved member of the Komandoo Family since 2011. 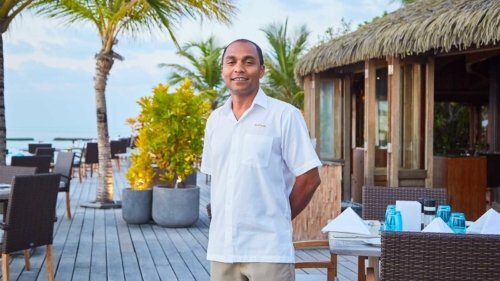 No matter where you meet Vinod – be it in the Kandu Bar or Thundi Bar – you can expect both your drink and the guest service to be top notch. Vinod has made many friends over the course of these eight years and it’s not just thanks to the excellent cocktails he makes – he’s humble, attentive, a good listener, and has an excellent memory – you’ll be surprised how quickly he remembers your favourite drink. You’ll have your passion fruit margarita in your hand before you know it! 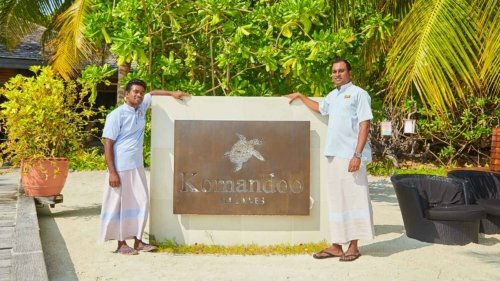 Both bars at Komandoo are a great place to sit, relax and enjoy the stunning views across the island’s lagoon. 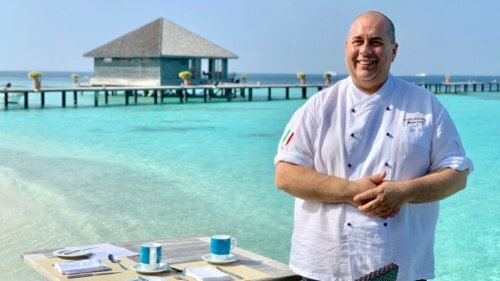 You can use your all-inclusive in both of the resort’s bars; located just a few steps away from Komandoo’s infinity pool, and with a large outdoor sitting area, Kandu Bar allows you can admire views of the ocean’s blues, take a quick dip in the pool or escape the sun in the shaded interior. Kandu Bar is where nightly entertainment takes place. Be sure to visit Thundi Bar too for Komandoo’s stunning sunsets! 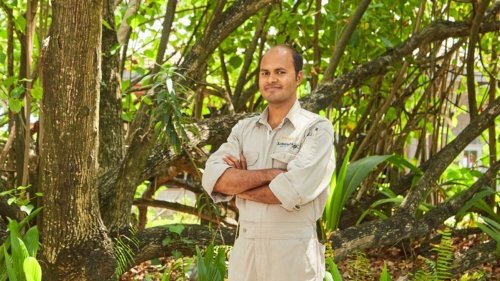 Those of you who’ve met Vinod will agree that he’s a core member of the team, a true champion, with his calm, attentive and unpretentious character a perfect fit for Komandoo!